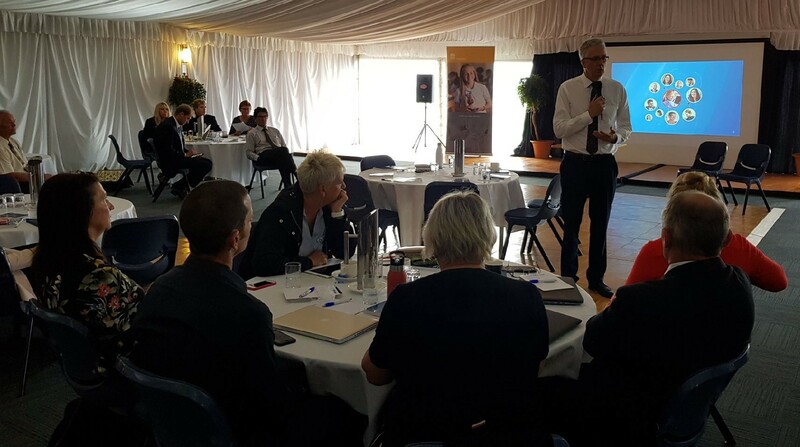 Mark Scott speaking to principals from across southern NSW in Batemans Bay on Monday. Photo: Dept of Education. The principals of 50 public schools from across Southern New South Wales have gathered in Batemans Bay to meet with chiefs of the NSW Education Department. Schools from the Monaro, Far South Coast, Illawarra, Shoalhaven, Southern Tablelands, Southern Highlands and Queanbeyan were all represented, part of a road trip by Department Secretary, Mark Scott, Deputy Secretary School Operations and Performance, Murat Dizdar, and Deputy Secretary Educational Services, Georgina Harrisson. “We have 2,200 schools and we want them to be great schools and you don’t have great schools without a great principal, and so we are asking them – what kind of support do they need in order to provide great leadership?” Mr Scott says. The Batemans Bay forum came just two weeks after the release of the 2017 Principal Health and Wellbeing Survey, a nationwide check up on over 5,500 principals in state, religious, and independent schools. *Stress and burnout were flagged as issues, with principals saying the sheer quantity of work and a lack of time to focus on teaching and learning are impacting on them. Mr Scott says he got a sense of that stress and pressure when talking to principals at Batemans Bay. “If we are a world class system then we are providing outstanding support for principals,” he says. Students from Batemans Bay High School and Broulee Primary combine for the 2017 Southern Stars Concert. Photo: Bay High Facebook. The influence of the outside world is a big part of the daily challenge for teachers and principals. “The complexity [of the job] is not all to do with teaching and learning,” Mr Scotts says. “The complexity in part is because of broader pressures in society – pressures around families and the stability and security of the environments young people come from. “Schools are often the one secure anchor point in a child’s complex and turbulent world, so schools often need to broker an array of support for students that often extends well beyond what has been traditionally provided in a school,” he says. That traditional work of schools; preparing kids for their future, was also front and centre in the day-long meeting at Batemans Bay. The former ABC boss, says his Department has been doing a lot of work trying to imagine the world of the future and the skills our kids will need. “In the last year, we’ve done a big research project called ‘Education for a Changing World’ tapping into a global array of leading academics in this area,” Mr Scott says. “To be successful we know that a young person will need to have very strong literacy and numeracy skills because frankly, they are going to spend their entire career learning. 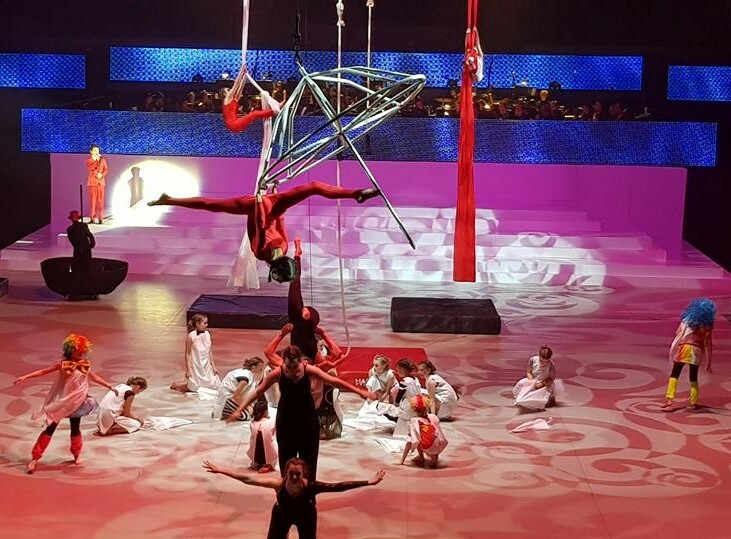 “Young people are going to need a growth mindset, we know that they are going to need to be able to take on new challenges, learning new things, they are going to have to back themselves,” Mr Scott says. 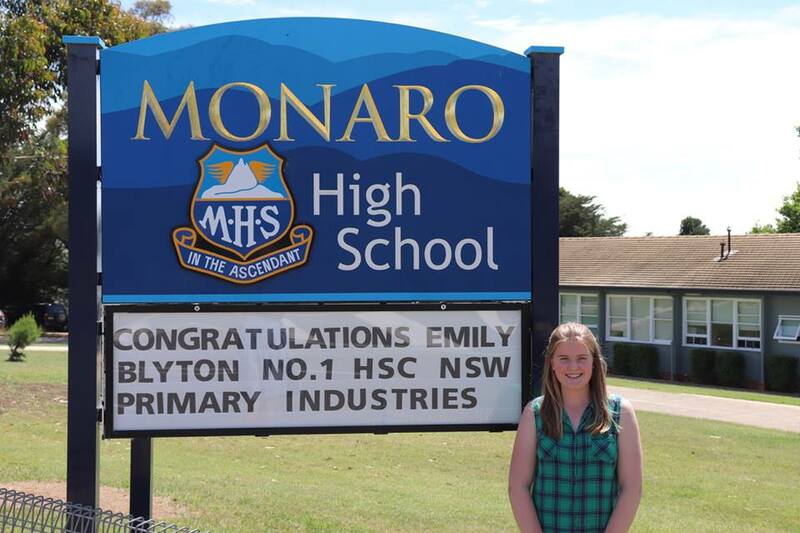 Cooma cheers one of its own, Emily Blyton, top marks on the 2017 HSC. Photo: Monaro High Facebook. Fostering a love of learning in each child is central to Mr Scott’s vision of the future, and indeed his challenge. “We once may have thought we take young people to school to teach them knowledge, in a way now we feel they are at school so we can help them learn to learn,” he says. “We think less in terms of a class and think more about where each individual student is up to. “Our great teachers are aware that every student is different and at a different point in their learning – it’s a long way from a row of desks that’s for sure,” Mr Scott says. NSW public education is the largest education system in Australia, with 810,000 students in 2,200 schools, looked after by 85,000 staff. The Department’s tour also takes in meetings at Newcastle, Coffs Harbour, Tamworth, Wagga Wagga, Dubbo, Sydney, Penrith, and Liverpool.